VoIP stands for Voice over Internet Protocol. This simply means that phone service is carried through an Internet connection. The quality is as good as or better than traditional phone providers and users can enjoy much more advanced features and technology. You place and receive calls like you always have on the same telephone that you have. 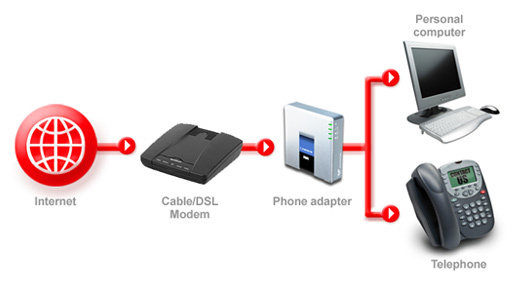 To initiate VoIP service requires a broadband internet connection (DSL or cable) and the telephone adapter (ATA) provided by ZiD VOX. We also offer bundles that include Voice and Internet service so that you can have only one bill and enjoy savings on both services. We also offer long distance plans to help you save even more. With ZiD VOX you connect your telephone to your high-speed Internet connection using a phone adapter. Installation is easy and you can start making calls within minutes of receiving the phone adapter (ATA). Just pick up the phone and begin making and receiving calls like you always have.